Bedroom Furniture in traditional and modern styles is available from Bromley and Able, the one-stop shop for all your home furnishing needs. We have recently expanded our range of quality furniture to include bedroom sets, wooden beds, metal beds, bedside cabinets, stools and chairs, underbed storage drawers, wardrobes, chests of drawers and vanity mirrors. All of these a crafted from high quality materials such as wood and fabric and we feel that this range perfectly complements our range of carpets, which you can also browse at our website. Simply click on a product to view further information and make an enquiry. Bedroom Furniture is available from Bromley and Able. Our company was established in 1973 and as such we are respected company in our field. You can find a wide range of furniture at our website, and we also specialise in fitted carpets, laminate floors and vinyl flooring tiles. If you would like to make an enquiry please fill out the contact form on our website and we will get back to you as soon as possible to discuss your requirements. 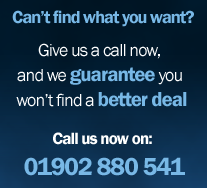 You can also call us on 01902 880541 to speak to one of the team about any products you are interested in. We are based in the West Midlands, UK.